But, every now and then I steal one or both of the kids away from all the sporty fun for a bit of a bookish adventure. 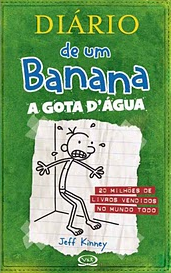 Sunday last was one such occasion, when I absconded with Evan into the city to hear from the fantastic Jeff Kinney, author of the bestselling Diary of a Wimpy Kid series. Thanks to the Wheeler Centre, we tripped into the Town Hall along with thousands of other eager fans to hear from the talented, very unassuming author. I was so impressed with Jeff’s story, it was fascinating to hear how his vision for himself as a cartoonist didn’t quite work out the way he thought it would. Rather, with patience and perseverance, his career in fact became about much more than his whimsical drawings. His cartoons and stories communicate a most refreshing connection with childhood, and his obvious commitment to making reading accessible to ‘reluctant readers’ is wonderful to witness. The kids were transfixed, Jeff’s presentation was pitched just right. The junior audience laughed and ooh’d and aah’d throughout. Not only that, I was incredibly impressed with the questions that the kids asked at the end of the session – concise, thoughtful and of real interest to the whole audience. Fantastic crowd. Events like this one provide the most amazing opportunity to engage kids with writing, reading and authors. Just quietly, I like to be able to give Ev and Oscar a little break from the sporty world of weekends, and to encourage something a little more on the bookish side from time to time. These kinds of gigs give me a chance to do this. 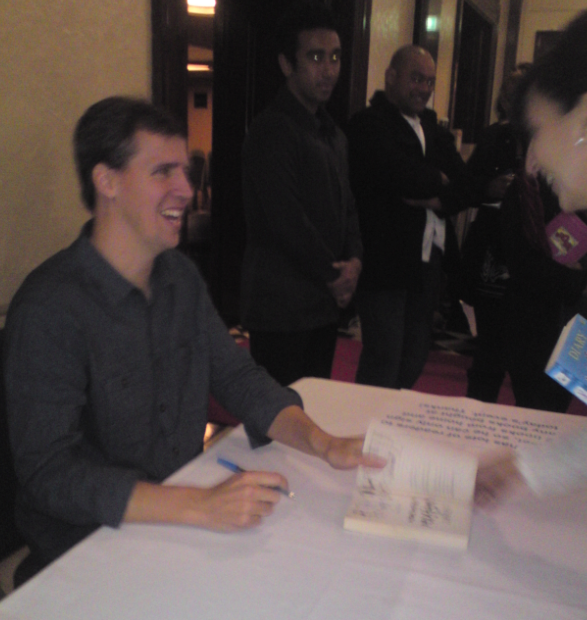 Thanks to the Wheeler Centre for the opportunity to see Jeff Kinney this month. Please check out their calendar for some more amazing upcoming events, including evenings with Christopher Paolini and Jodi Picoult. A couple of fun reminders while I’m here!! The TBYL Book Club for May started today. 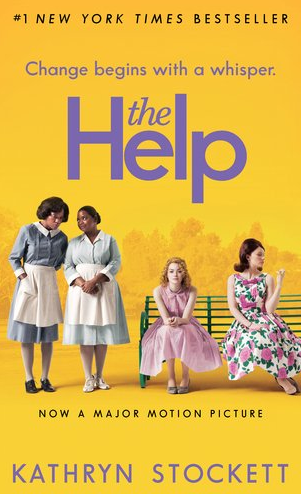 Join us at the club to chat about Kathryn Stockett’s The Help. I’ll be drawing our The Immortal Rules competition at 8pm tonight. Find out how to enter here. I’m currently getting the June edition of TBYL News: All Things Bookish ready. Don’t forget to subscribe to get it by email, first Monday of the month. There’s just a couple more days to enter our TBYL News, Mary Bennet give-away. Click here to find out how to enter!